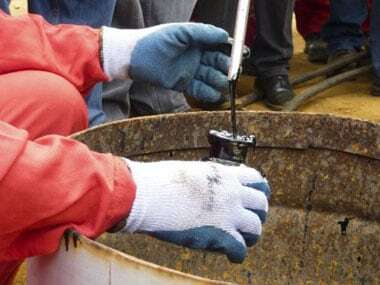 New Delhi: Reliance Industries' $15.5 billion downstream refinery and petrochemical expansion projects are likely to add more than 50 percent to its pre-tax earnings over the next three years, Morgan Stanley said today. In a research note, it said RIL's profit had stagnated for last five years and FII ownership and valuations at multi year lows because of the decline in oil and gas production and cyclical volatility in Petchem margins. Besides, its investments in telecom business reached 15-20 percent of capital employed, dragging down overall return on capital employed. Also, return on investments from US shale assets and domestic oil and gas was low. "Core businesses were in cyclical downturn. Retail fuel stations were shut down amid losses from regulatory policy shift, so growth expectations were scaled back. Retail business was a drag on overall profitability for several years," said the note. To get growth trajectory, RIL embarked on a $40 billion capex cycle over 2013-18, of which $15.5 billion is planned for the four key downstream projects in its refining and petchem business. "Our deep analysis of these projects under various oil price scenarios suggests incremental EBITDA of $2.2-4.9 billion, which is 37-80 percent higher than current levels. In our base case we assume $3.2 billion in EBITDA based on an environment of $70 per barrel oil prices. This would help RIL to increase profits by over 50 percent over FY15-18," it said. The projects are petcoke gasification plant at its refinery, refinery off-gas cracker in petrochemicals, polyester/aromatics capacity expansion and import of ethane (cracker feedstock) from US. 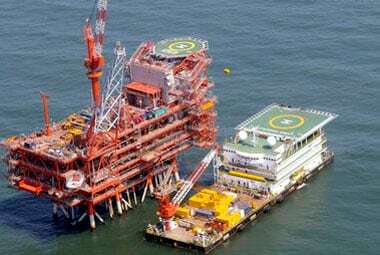 "RIL has already spent more than $10 billion (70 percent) on these projects and our discussions with management and channel checks suggest that construction activity is progressing well on these projects," it said. Morgan Stanley said RIL's telecom venture launch is nearing, regulatory environment has improved; spectrum auction bidding was rational, and the 4G ecosystem is improving. "All indicate a better business case," it said, adding that core petchem and refining businesses are robust. "Our regional outlook on petchem is constructive and gross refining margins (GRMs) continue to surprise us positively in the near term," it said. Also, restart of petrol pumps will add to its earnings. "Retail business has now turned profitable and can aid its telecom business launch: after eight years of dragging on consolidated profits, retail business is PAT positive," said the Morgan Stanley note. With peak capex behind, the focus is now on the business and profitability. "A possible foray into eCommerce could further strengthen the business case," it added. On the downside, it cited weak oil prices leading to decline in shale earnings. From previously projected US shale business contributing 5 percent of profits by 2017-18, it estimated shale to be less than 2 percent of earnings. Also, it said, domestic oil and gas exploration and production (E&P) will become inconsequential to earnings. "RIL is entangled in arbitration with the government on gas price and capex recovery. D6 volumes continue to decline and are currently less than 11 million standard cubic meters per day, which we now do not expect to revive in our base case." Disclosure: Firstpost is part of Network18 Media & Investment Limited which is owned by Reliance Industries Limited.